Abingdon Silk 2000 range was designed and crafted in Great Britain. As it features the finest in British manufacturing, you can enjoy quality sleep for years to come. 2000 individual pocket springs respond to the movement of your body through the night to provide outstanding support and comfort that’s personal to you. The mattress comes with a medium/soft firmness rating, so it’s particularly suitable for side sleepers, allowing you to gentle sink into a blissful night’s sleep. 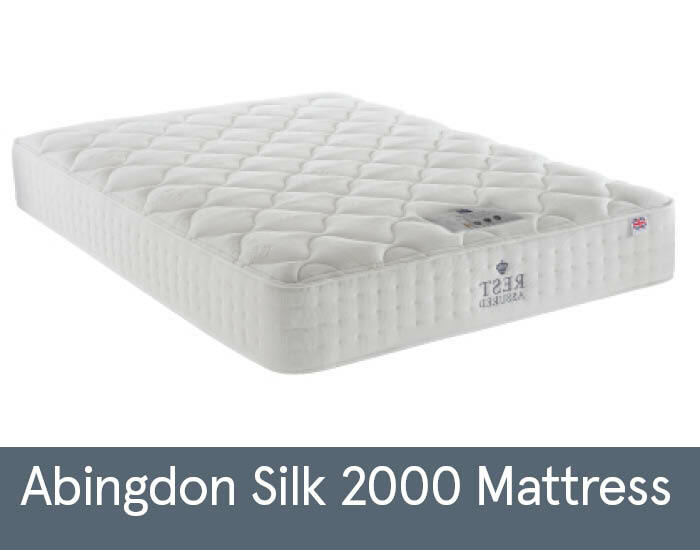 The Abingdon Silk 2000 mattress features generous layers of deep sumptuous smooth silk, cashmere and wool fillings. Natural fillings soothingly cushion the body and regulate your temperature to keep you cooler through the night. Because this mattress is single sided, you won’t need to go through the hassle of constantly turning it over. Simply just rotate it from time to time when you do your spring cleaning. The range is available in Single, Double, King and Super King size.